What was one of the most memorable moments of Birds, Beasts and Relatives? There were too many great stories to choose just one. The narration really makes this book "sing." The ending was very lovely. Which character – as performed by Nigel Davenport – was your favorite? My favorite character was the mother. She had so many good retorts. The narrator gave so much life to each character though. Especially in the second book, there were some really wonderful descriptions of the island and its inhabitants. The production values in the first part of this book seemed off - very fast. So I slowed my IPod down to 1.75. 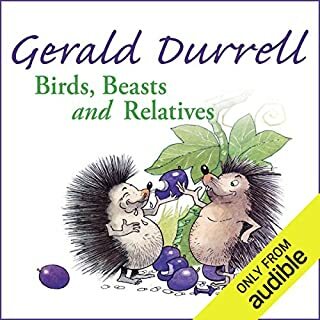 After continuing to listen for some time, it sounded just like in My Family and other Animals which I had just read before I started this book. 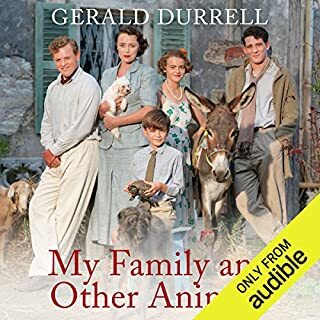 I'd recommend this book to anyone who likes eccentric English families and/or animals, Corfu or a good laugh. What about Nigel Davenport’s performance did you like? The performance by Nigel Davenport was superb and lent a great deal to the enjoyment of the book. If you want a good time, listen to this book. I laughed throughout. This book is a real gem and I'm moving on to the next one. What did you like best about The Rise & Fall of Great Powers? What did you like least? 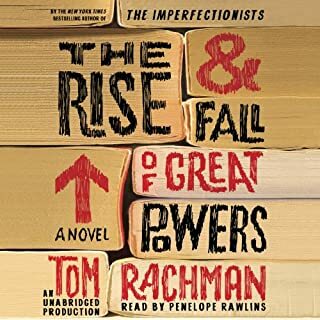 Rachman switches the time frames back and forth from year to year and it's really hard to keep track of with the audiobook. This is a book I would much rather have gotten to read on my iPad or in paper. Would you recommend The Rise & Fall of Great Powers to your friends? Why or why not? I'm not done yet so not sure. This isn't just a straight story, but a very wandering narrative so it's impossible to tell where it's going. 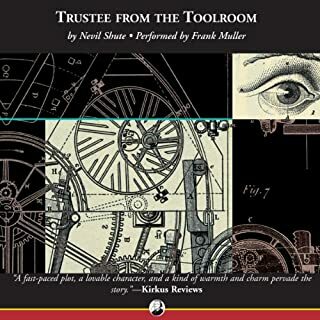 Would you listen to Trustee from the Toolroom again? Why? I would listen to this book again. It's different and it has a lot of heart. If you know a man who loves knowing how things work - it's a perfect gift. The characters all came to life to make the story so delightful. It's a short book, but the characters are well fleshed out and the story line is terrific. 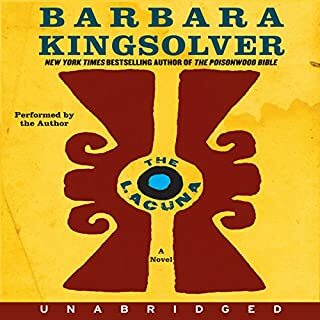 The narrator lends a lot to the story and brings the characters to life. And a fun life it is. If you're looking for a hidden gem, this is a great choice. Born in the United States, but reared in Mexico, Harrison Shepherd finds precarious shelter but no sense of home on his thrilling odyssey. Life is whatever he learns from housekeepers and, one fateful day, by mixing plaster for famed muralist Diego Rivera. When he goes to work for Rivera, his wife, exotic artist Kahlo, and exiled leader Lev Trotsky, Shepherd inadvertently casts his lot with art and revolution. A spell-binding story with passages of incredible charm and tenderness along with grim realities. A parable for our day. Amazing narration by the author. It doesn't get much better than this. Please do not let this author narrate a book again. Her southern accent is not a pleasant one and heaped on top of foreign pronunciations, it's deadly. Also the meals consumed by the author and her husband are the primary focus of the writing. This book is a weak effort. In this captivating memoir, the man whom Julia Child has called "the best chef in America" tells the story of his rise from a frightened apprentice in an exacting Old World kitchen to an Emmy Award-winning superstar who taught millions of Americans how to cook and shaped the nation's tastes in the bargain. WHAT HAPPENED TO THE RECIPES??? 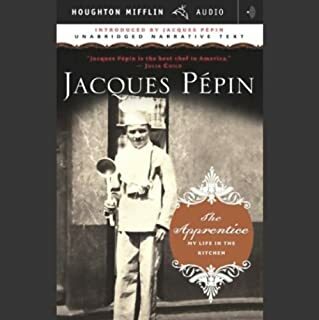 Jacque Pepin's story has many facets which he relates in an honest and unpretentious way. I came away with a great respect for the man and an enhanced view of cooking, especially in the selection of ingredients. One hears about choosing fresh and seasonal items, but Pepin tells what that means in very specific ways. Be advised that this book can make you very hungry. 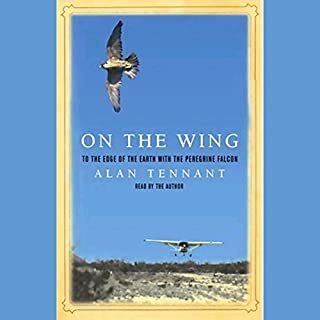 In this extraordinary narrative, Alan Tennant recounts his all-out effort to radio-track the transcontinental migration of the peregrine falcon, an investigation no one before him had ever taken to such lengths. If you have an affinity for nature and if you like adventure, On the Wing will capture your imagination. Tennant relates his story as only a Texan can, recounting bold and risky moves executed in pursuit of peregrine falcons in their seasonal migrations. The author's folksy narration is entertaining while his thoughts on our relation to nature and each other is wise and thought-provoking. I loved this book! 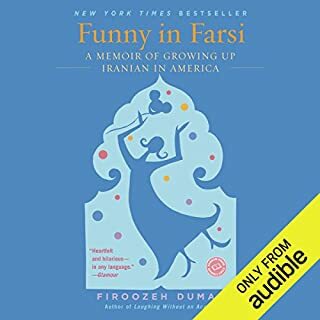 The lives of the author's Iranian immigrant parents and extended family along with her own adventures and misadventures provide more than enough material for each chapter. Lively narration keeps the stories moving along. 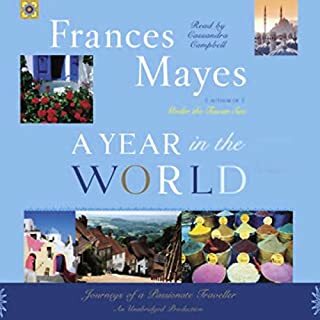 Beyond the upbeat rendition of the author's personal history, there's a poignant subtext regarding the plight of her native country and what it was like to be an Iranian immigrant in the US in light of the infamous hostage crisis. 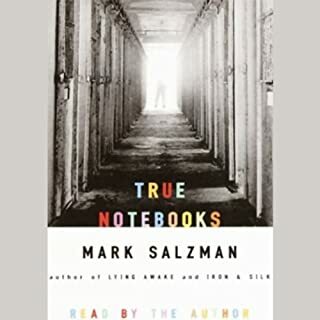 True Notebooks is the story of Mark Salzman's eye-opening tenure as a writing teacher to a group of teenage boys in a juvenile detention facility in Los Angeles. Many of Salzman's students have been charged with murder, and he is initially apprehensive about teaching them. But his first encounter with them changes his mind: rather than the thugs he had expected, his students are vulnerable and carry terrible burdens. Salman's book will lay to rest the stereotypes you had of the young people in Juvenile Hall. Their stories, their lives are heart-breaking, yet Salzman is even-handed in his view, recognizing the reality of crimes they've commited. Narrator does a great job in creating the voices of the boys. A very worthwhile book. Kudos to Salzman for his work.